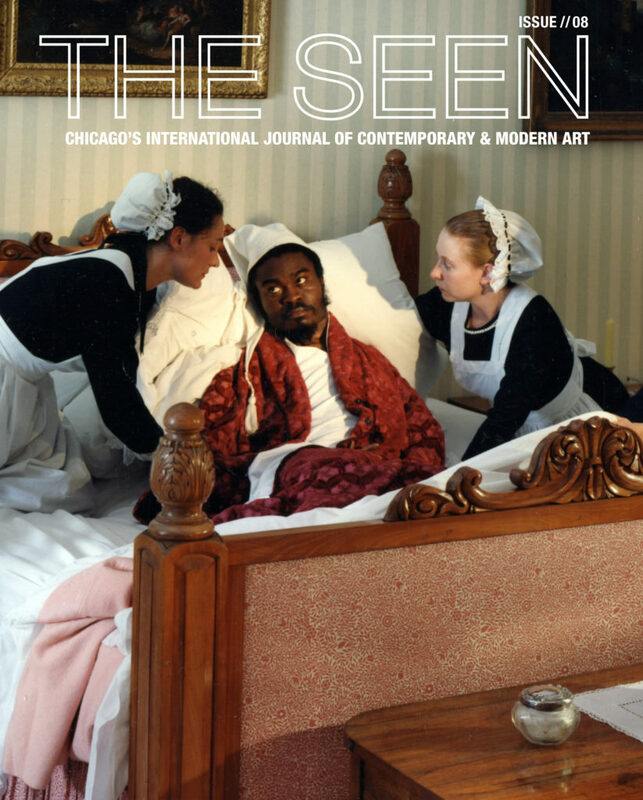 THE SEEN announces the Spring / Summer preview titles launching Issue 08 in print this April 2019, featuring a 10,000-count run available for distribution at multiple public locations throughout the city of Chicago, as well as select national and international distribution. With Staff Writers reporting from around the world, each issue of THE SEEN features in-depth writing on contemporary art, as well as highlight essays, artist profiles, reviews, and limited-edition contributions from top international artists. The cover of Issue 08 features a detail of a work by Yinka Shonibare CBE entitled Diary of a Victorian Dandy: 11.00 hours (1998). The photography series follows Shonibare living a fictional life as an English aristocrat, elaborately calling to question the outside position of a colonized body within the context of a past and present England. The photograph appears in his show, A Tale of Today: Yinka Shonibare CBE at the Driehaus Museum. Issue 08 will feature exclusive pieces and new commissions on the best in international contemporary art. Issue 08 will be released in print and online the week of April 15. March 18, 2019 | Filed under Art Seen: Chicago and tagged with Issue 08, Yinka Shonibare CBE.